How can I access REVTV On Demand? 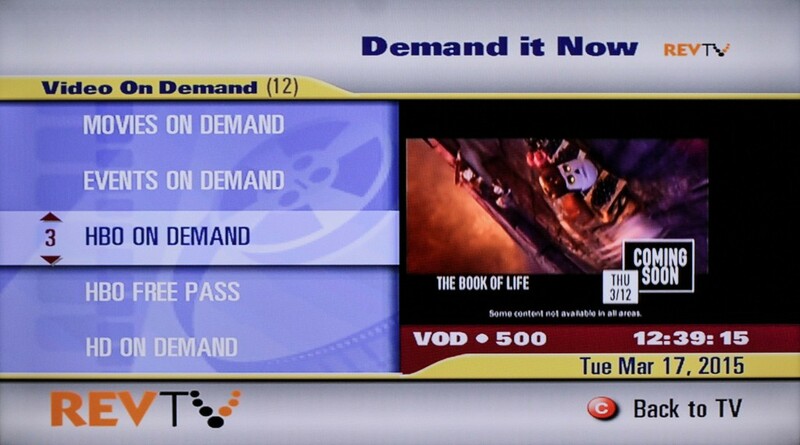 REVTV On Demand can be found by pushing the ON DEMAND button on your remote control or by tuning to channel 500. The onscreen guide allows you to access a variety of different titles available only on REVTV On Demand. HBO On Demand can also be found on channel 500 and is free to all HBO subscribers!